The light heavyweight bout between Anthony Smith and Rashad Evans was part of the preliminary card of tonight’s UFC 225 PPV event from inside United Center in Chicago, Illinois. 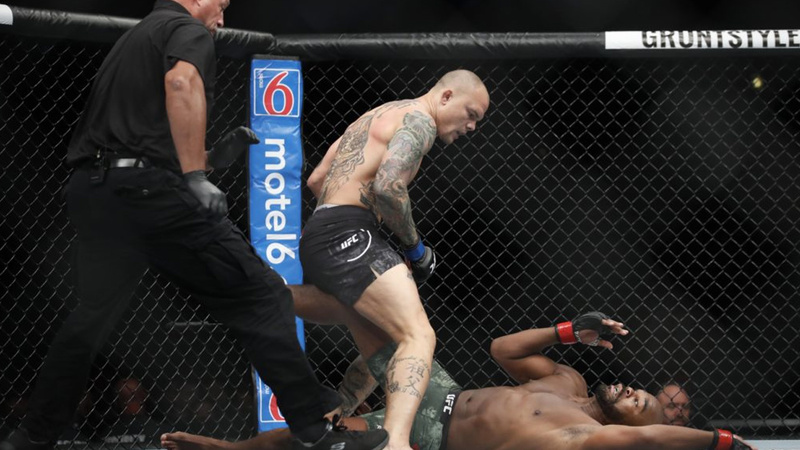 Anthony Smith brutally put to sleep Rashad Evan via vicious knee in just 53 seconds of the first round. Smith was good early in the fight, with Evans hold tight of his opponent with cage looking for an opportunity to take the fight to the ground. Instead, Smith immediately landed a knee to Evans head that drops him on the floor, running to follow up with strikes before the referee stopped the action. Evans appears to be approaching the end of his career as he has dropped five straight fights in a row after tonight’s match. Smith got back in the winning column in the light heavyweight debut after deciding the cut-down to middleweight was difficult.